Just went to the comic book store recently and saw all this B v S stuff. There's a Dark Knight Returns III. I remember hearing about this but didn't know it was already out. The art looks like it's all trying to emulate Miller, but it looks like different artists. There's three issues out, and already a hardcover for the third issue. Weird. I also saw multiple issues of what I thought was the comic book adaptation of Batman v Superman. Instead it was a bunch of different variant covers for Wonder Woman, Batman and Superman (and Aquaman) that had no relation to the actual story. Also, I've been seeing new editions for the Dark Knight Returns tpb. One hardback cover features issue #4's cover of the silhouette of Batman vs Superman on the hill. Then there's a soft cover that's just the #1 cover with the lightening bolt. So far I think the Chip Kidd designed cover and the '86 Warner Edition are the best looking. DKIII: The Master Race started coming out last year but it's only up to issue #3 because of delays. The regular issues include a mini comic inside. The hardcover editions are released 3-4 weeks after the comic book edition and include the mini comic in full size. Also, the spine of all of these hardcovers is supposed to make a complete artwork at the end of the 8 issue run. The 8th hardcover will include a slipcase to store all hardcover issues. The series is good, but not great. The Batman v Superman covers is the theme for the variant covers for the month of March. DC has had a theme each month for over a year that will feature something in particular, like Looney Tunes variants, Teen Titans Go variants, Batman 75th Anniversary variant, Joker 75th Anniversary variant, etc. There are several releases of the original DK trade. I think the hardcover release you are talking about is the Black and White "Noir" version of the book. I saw the mini-comic, it looked cool. It was a homage to Sensation Comics right? 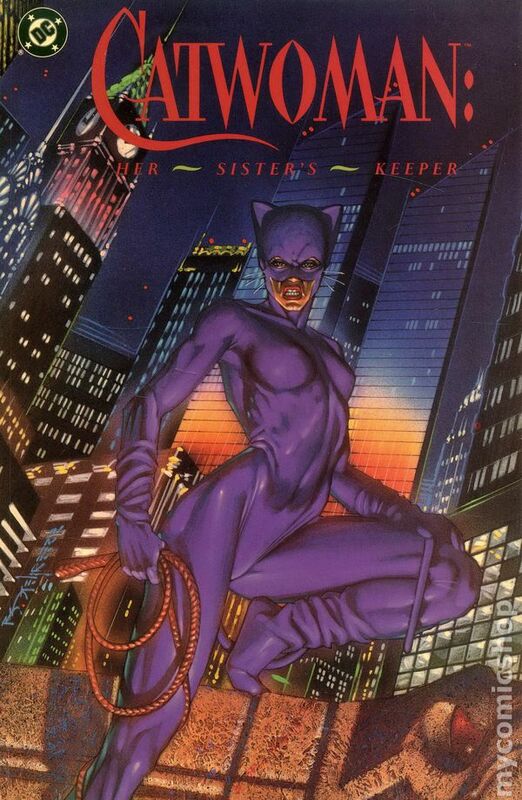 The art was good at parts, at one point it looked like Amanda Conner inked by Frank Miller. Other parts it was so-so, but with good coloring. Overall though, it lacked the boldness of Miller. I thought DK2 was crap at the time, but seeing the art in DKIII made me miss the visuals from DK2. I didn't realize there were so many different versions. The hardcover I'm thinking of may not even be a hardcover. There's two black and white one's I think, maybe three. The one where he's balancing on the phone wire was originally in color. Don't like either. The other reuses a previous image of Batman and Carrie Kelly flying through the air. It's okay. The police-brutality, sadistic TDKR cover where Batman's battering someone off-panel, with blood splattering is probably my least favorite. I think that cover above was done for the general book market only. It would have been carried in regular bookstores, before graphic novels were widely carried by them in the 1980s and 1990s. That's the one I have. It's a paperback (note the $12.95 price), and most likely the bookstore edition. I bought it at a B. Dalton's in the late 80s. My first TPB. The intro by Alan Moore is good; I don't think they've included it in later editions. 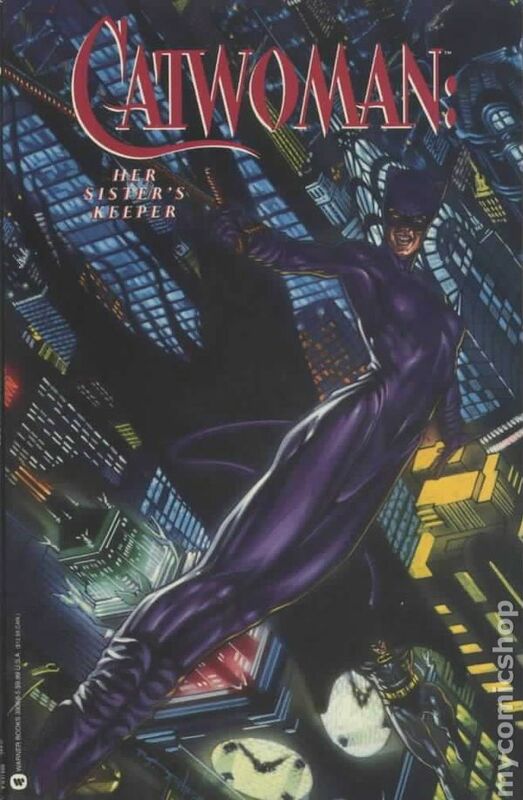 As PhantomStranger said, it's definitely the bookstore edition. The "Warner Books" at the bottom is the giveaway. "Warner Books" was for bookstores and almost always gave the trades a different cover image than the direct market. The direct market of comic book shops got all their stuff "DC" branded. Although off the top of my head I can't recall if any edition of TDKR I've read has had an introduction by Alan Moore. But it's been a while since I've read the trade so maybe I'm just not remembering it. There are also Warner Books editions of Batman: Shaman, Batman: Prey and Batman: Gothic with different covers. Though the second link also includes a lot of prose books about superheroes. 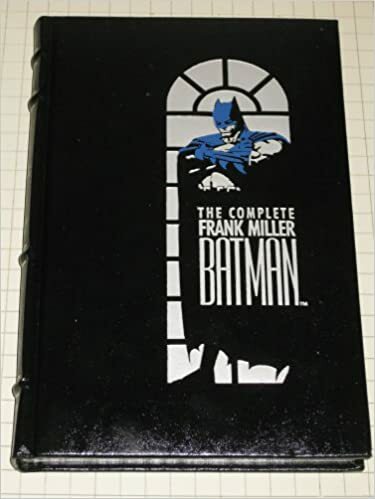 This is the leatherbound hardcover I got back in the late 80's. 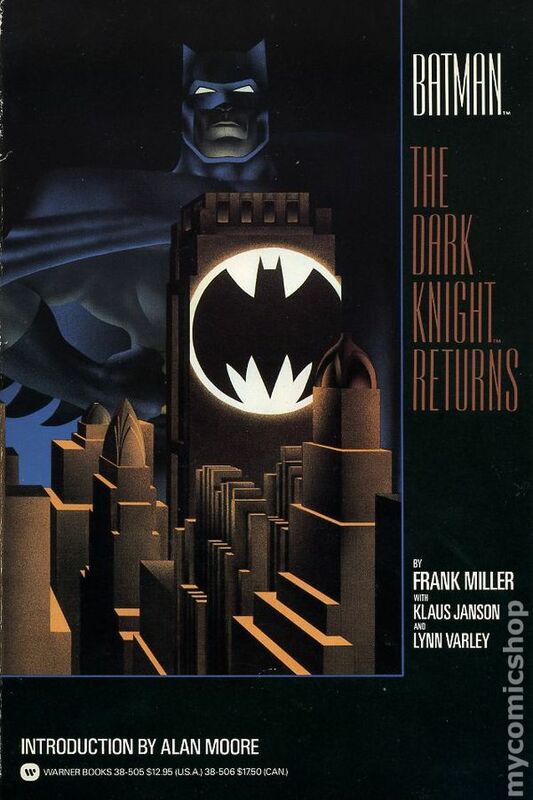 It included TDKR, Year One and Miller's first Batman art from DC Holiday Special 1980. I already had all the comic versions but the printing in this was so much better.